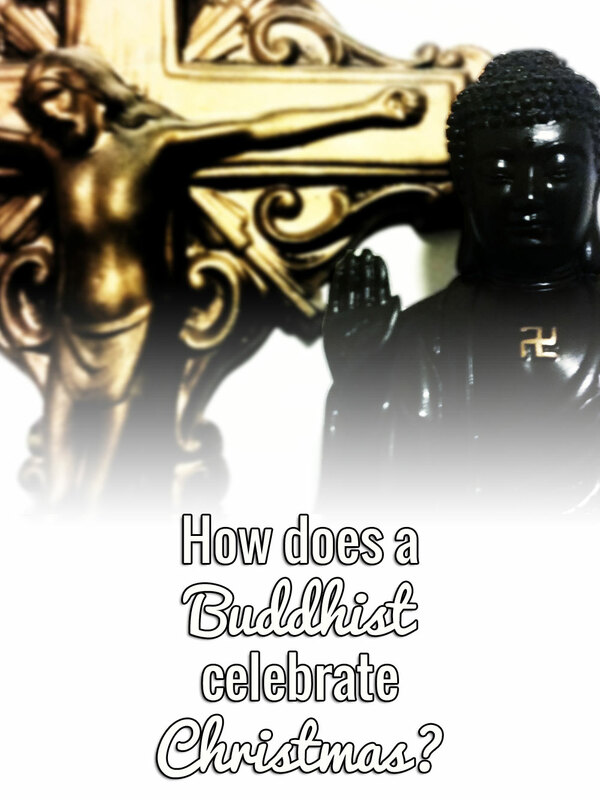 How Does a Buddhist Celebrate Christmas? December 20, 2015 · 7 min. readThis article may contain affiliate links. With the holiday season upon us, many people have begun asking me if and how I plan to celebrate Christmas. This is a good question, and I completely understand the confusion since Christmas is about celebrating the birth of Jesus as the human embodiment of God and since Buddhists do not believe in God, Christ's birth should have very little importance. However, surprisingly, many Buddhists still celebrate Christmas. Buddhists believe Christ's teachings not only compliment those of Buddha, but that Jesus is a "Bodhisattva", which is one who forgoes their own benefit to help others and has compassion, kindness and love for all beings. Because of these reasons, many Buddhists see Jesus as a blessing to the earth and have no problems celebrating his birth. This differs from Christian belief as Buddhists recognize the Jesus as a man and teacher, but not the Messiah. Buddhists also have their own holiday on December 8th, which celebrates the day Buddha achieved enlightenment under the Bodhi Tree. This holiday, "Bodhi Day", is celebrated by eating cookies (preferable heart shaped – which matches the leaves of fig, or Bodhi, tree) and rice, drinking milk and decorating trees with bright lights. In Asia, Buddhists decorate fig trees, but since Western climate can be harsh and these trees cannot survive, many Western Buddhists instead decorate evergreen trees. Buddhists decorate these trees with multi-coloured lights which represent the many different paths to achieve enlightenment. Some Buddhists also observe the following thirty days after Bodhi Day by giving small gifts to their loved ones, such as small tokens or acts of kindness, but make a point of never giving violent gifts, such as toy swords or guns as their religion promotes compassion and not conflict. The similarities between Bodhi Day and Christmas (sweet food, decorations, pine trees, presents along with general good will and kindness to all) plus the similar teachings of Jesus and Buddha allow for Buddhists to easily recognize and celebrate the Christian holiday without comprising their faith or causing any conflict between religions. This was the first year I celebrated Bodhi Day, and I had a lot of fun doing it! I brought cookies into work and shared it with my coworkers; after work my girlfriend and I shared milk and cookies and then together we decorated my apartment. I didn't have a tree, but she did bring some lights that we hung up for the evening. We didn't exchange material gifts, but we did spend some quality time together, which is a gift all in itself. Some people have also asked me about Christmas supper, and about what I can and cannot eat. With the preservation of life being one of the core beliefs of Buddhism, many believe Buddhists consider all meat to be forbidden, but this isn't always correct. Different branches of Buddhism view the idea of "preservation of life" differently, and some don't follow vegetarianism at all. A general consensus across all branches of Buddhism is that an animal cannot be killed specifically for them to eat – such as shooting a deer in the woods with the purpose of eating it later. Some Buddhists then believe that this means meat can be consumed as long as it is killed for general consumption of all people, not just themselves, say during a Christmas supper where there are many people eating together. It is also forgivable for a Buddhist to consume meat that was killed for them, if they do not know it was killed for them prior to eating it. Buddha did have some policies on what kind of meat is forbidden, however, and that includes: human meat, elephant meat, horse meat, dog meat and meat from snakes, lions, tigers, panthers, bears and hyenas. 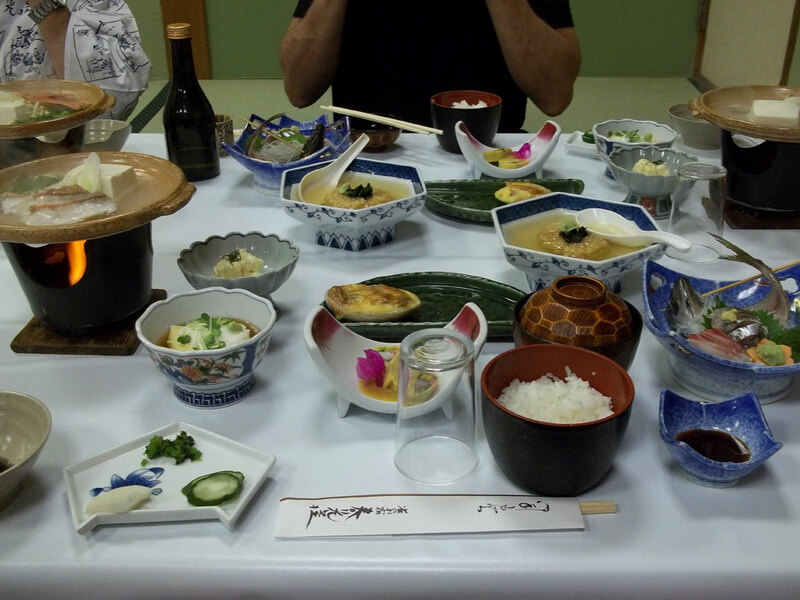 None of those are typical Christmas meats (at least in the Western world!) so they do not conflict with Buddhists eating Christmas supper. It is also common for Christians to say grace before supper as a way to be grateful to God and to give thanks for their food. Buddhists perform their own version of grace before eating as well, but instead they thank the animals for giving up their lives and thank the person who provided the food for them. Buddhists also have no problem with the idea of Santa Clause, as Santa is based on the inspirational acts of St. Nicholas. St. Nicholas was a humble man who helped bring joy into children's lives through his acts of selflessness and compassion, which are two of the core beliefs of Buddhism. As a novice Buddhist, I'm always researching and learning more about Buddhism in my own personal journey to achieve enlightenment. I found this article fascinating to research, and I hope it "enlightened" you into how a Buddhist celebrates Christianity's most popular holiday. If you're looking for more information, please visit Alan Peto's website. I often find myself reading his articles and learning more about my faith through him. He also mentions some very popular books that compare the many similarities between Buddhism and Christianity such as "Living Buddha, Living Christ" and "Going Home: Jesus and Buddha as Brothers" both by Thích Nhất Hạnh, an award winning Vietnamese Buddhist Monk. May you have a wonderful holiday, regardless of what religion you follow! 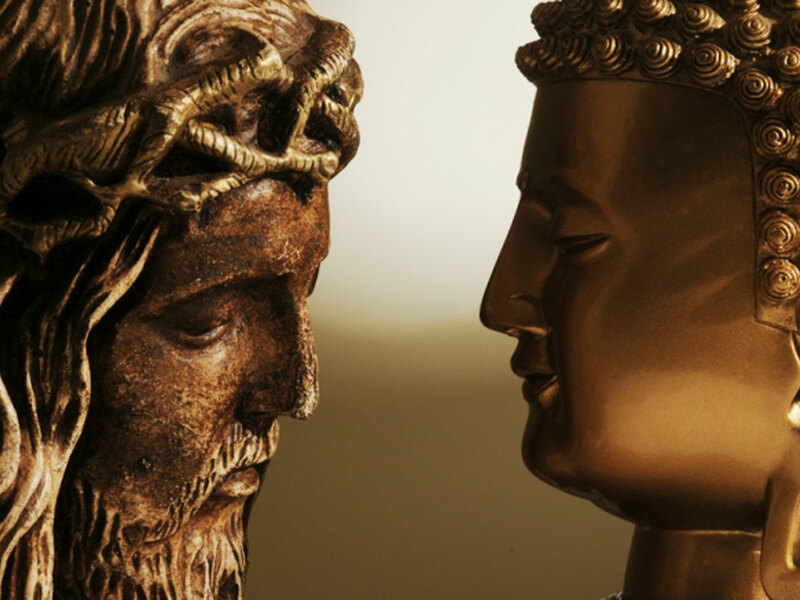 The golden image of Jesus and Buddha belongs to Posts from the Path.